Ragnar Klavan is “99%” sure to sign for us imminently, according to German publication Bild, who say the deal is as good as done. As the report suggests, we’re on the verge of completing a move for the Estonian centre-back. The 30-year-old will be brought in as cover for our other injured defenders, and after watching Joel Matip limp off against Wigan this transfer is welcome news. 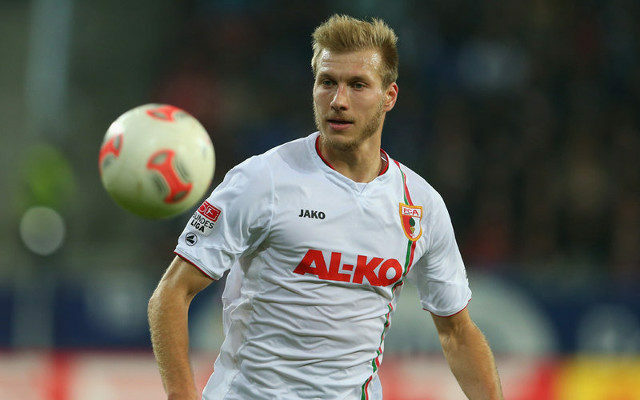 Bild also revealed that the Augsburg defender was previously a target of Everton’s, but the player turned them down and could now be playing against them next season. It’s a low risk transfer that is seemingly just meant to put a temporary patch over a dangerous hole, and once we get all our players back and fully fit it’s hard to see where he’ll fit in. The fact that he’s versatile enough to also play at left-back could be a huge boost though, as that’s an area we are currently short in. Most Liverpool fans will be hoping that Klavan’s arrival doesn’t mean Jurgen Klopp stops looking for an dedicated left-back though, as many feel we need an upgrade on Alberto Moreno, not just a back-up.